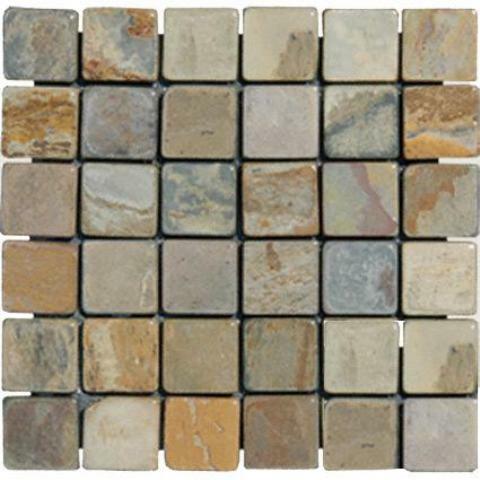 Autumn 2x2 Tumbled Slate tiles are mesh backed and available in 12x12 mesh-backed sheets. They are rich with browns, grays and rusts and recommended uses include flooring and walls. Awesome customer support. You guys really help me at every step of purchasing tiles.